Through his recitals, concerto appearances, and critically acclaimed recordings, the Irish pianist John O’Conor has earned a reputation as a masterful interpreter of the Classic and Early Romantic piano repertoires. He has been praised for his formidable technique, and through his eloquent phrasing, mastery of keyboard color and, in particular, his unique sound, he has been called a true Poet of the Piano. He has performed throughout the world with many of the world’s leading orchestras including the Royal Philharmonic, Czech Philharmonic, Vienna Symphony, l’Orchestre National de France, the NHK Orchestra in Japan and the Cleveland, San Francisco, Dallas, Montreal and Detroit Symphonies in North America. He has given recitals in many of the world’s most famous halls including New York’s Lincoln Center, the Kennedy Center in Washington, the Wigmore Hall in London, the Musikverein in Vienna, the Dvorak Hall in Prague and the Bunka Kaikan in Tokyo. He enjoys collaborating in Lieder recitals and performing chamber music with many instrumentalists and ensembles such as the Cleveland, Tokyo, Vanbrugh, Vermeer, Takacs and Ying Quartets. John O’Conor first gained widespread attention in the USA in 1986 with the release of the initial volume of the complete Beethoven sonata cycle, which was also issued as a box set in 1994. CD Review described Mr. O’Conor’s performances as “piano recording of the highest caliber and Beethoven playing at its best.” Mr. O’Conor has made more than 20 recordings for Telarc, including the complete Beethoven Bagatelles (which was cited by the New York Times as the best recordings of these works) and Mozart concertos with Sir Charles Mackerras and the Scottish Chamber Orchestra. He has also recorded the complete Nocturnes, Sonatas and Concertos of the Irish composer John Field. Mr. O’Conor’s early studies began in his native Dublin. He spent five years in Vienna studying with the renowned pedagogue Dieter Weber, winning 1st Prize at the Beethoven International Piano Competition in Vienna in 1973. He also made a special study of Beethoven with the legendary German pianist Wilhelm Kempff. 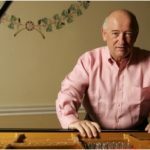 Mr. O’Conor is regarded as one of the most important piano teachers in the world today. His students have won many prizes and he is in demand for master classes and as a juror at the most prestigious International Piano Competitions worldwide. For his services to music, he has been awarded an Honorary Doctorate by the National University of Ireland, the title “Officier de l’Ordre des Arts et des Lettres” by the French Government and the “Ehrenkreuz fur Wissenschaft und Kunst” by the Austrian Government.